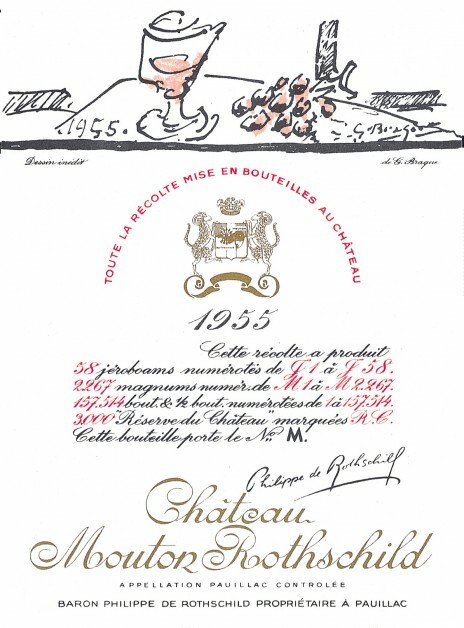 The first artist of international stature to illustrate a Mouton Rothschild label, Georges Braque (1882-1963) was, with Picasso, one of the originators of Cubism, abandoning perspective to show the subject from several different angles. In 1913 the invention of collages led him to use brighter colours. His later work became more figurative: nudes, landscapes, still lives, painted in broad, sweeping curves and using powerful chromatic harmonies. Sculptures, stained glass and jewelry all added to his reputation. 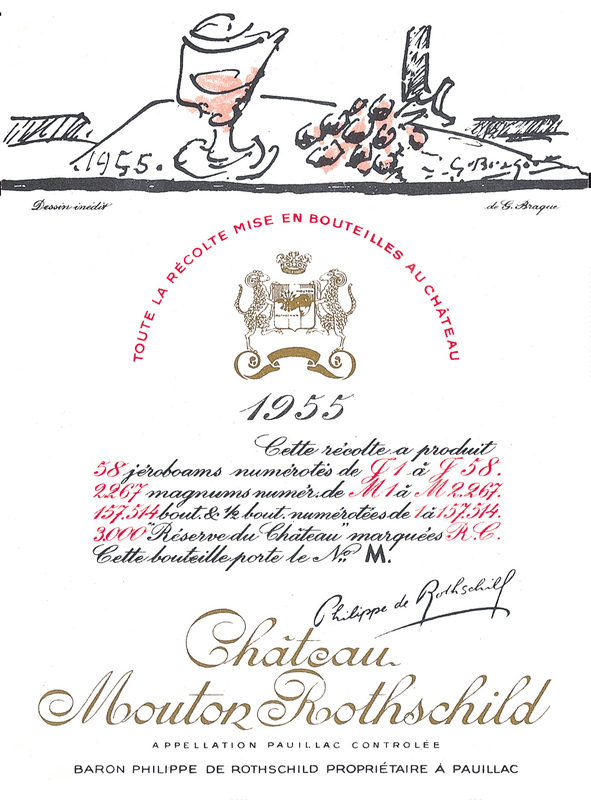 His drawing for the 1955 Mouton Rothschild label, made to the exact dimensions of the final frame, celebrates a magnificent vintage with the simplicity of a great artist.